Follows the controversy following the discovery of Cold Fusion and free energy, once debunked but now questions again are asked. did show a few promising things which yes have been forced off the table . If you have 250°C of heat in your hand you get to have a fire. If you have 1500°C of heat in your hand, you get to melt iron. If you have of 13M°C of heat in your hand you get to fuse hydrogen atoms. If you have 100 Billion °C of heat in your hand you get to make gold. hydrogen fusion at room temperature? First let’s compare different fuels. which used to generate electricity. 1 kg of coal = 8 kWh, burn time: 15 minutes @250°C. 1 kg of petrol = 24 kWh, burn time: 45 minutes @250°C. 1 kg or uranium fission= 112 MWh, burn time: 4 months @250°C. 1 kg of hydrogen fusion = 1.12 GWh, burn time: 4 years @250°C. 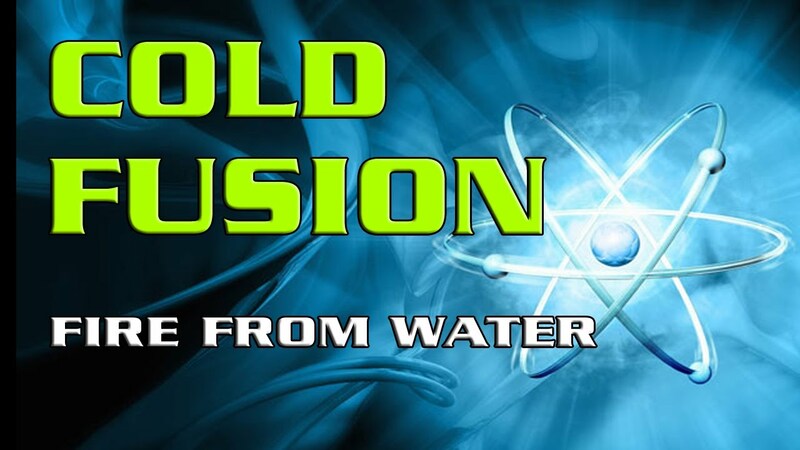 What commercial products (cold fusion) have been sold to consumers? why is it nor rated ? some funny, is cold fusion a crime ? immoral ? a new type of power is just around the corner. see it on the market yet. back than pushing it forward you can bet it will be done. that keep quiet for safety purposes. some corporation would be making billions from it.